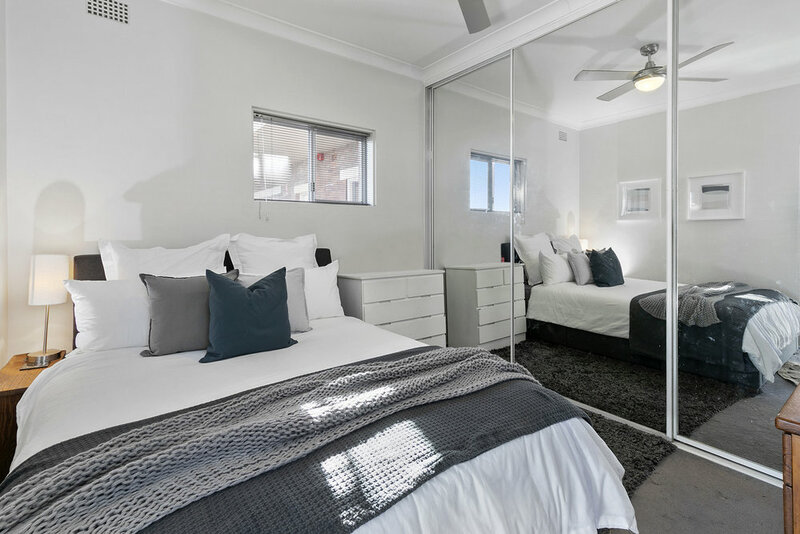 This gorgeous 2 bedroom beach pad is offering the perfect mix of contemporary flair, beach lifestyle and outdoor entertaining which is so rare to find in the highly sought after Queenscliff. What makes this place so unique is the ability to let your entertaining spill out into the huge paved private courtyard which is surrounded by luscious greenery. A perfect place for your pet to stretch their legs also (STBCA). The light-filled spacious living area presents stunning views through its large windows. Enjoy cooking up a storm in the modern kitchen equipped with dishwasher, stainless steel appliances and sleek Caesar stone bench tops. This opens out to a second living/dining area. The generous master bedroom is fitted with full-length, mirrored built-in wardrobes and the second bedroom is also equipped with built-ins and features full-length windows overlooking the courtyard. Fresh paint and new carpets work to brighten up this beautiful abode. The convenience of an internal laundry, large lock-up garage (potential for 2 cars or loads of storage) add to the appeal of this stunning apartment. Close proximity to Manly, Queenscliff or Freshwater beaches, as well as all the surrounding cafes and restaurants, will ensure the highly sought after northern beaches lifestyle can be enjoyed to its fullest. Public transport and schools are also nearby. Perfect for the astute investor with a current tenant wanting to resign.